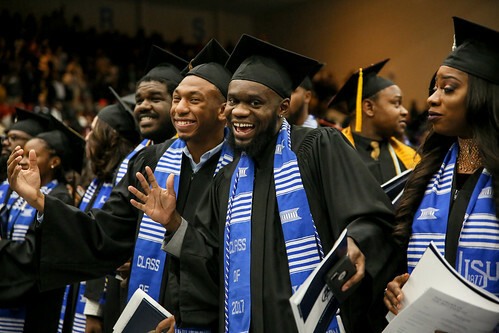 The viral “JSU Uptown Funk 2015” video, produced by the University Communications’ social media team at Jackson State University, won honorable mention in two categories in a national media competition. The video placed in the Digital Marketing Campaign and Best Video categories at the 2015 PR News Digital PR Awards. Produced by Spencer McClenty, Kentrice Rush, Ashton Hall and Kari Thomas, the video was recognized at an awards luncheon Nov. 9 at Yale Club in New York City. It was the only video from a college or university so honored by the prestigious organization. Along with JSU, other finalists included ESPN, ExxonMobil, Liberty Mutual Insurance, MasterCard, Pizza Hut and Southwest Airlines. In a single day, the JSU video received more than 100,000 views. To date, it has grown to more than 1,000,000 views. Featuring vocals by recording artist Bruno Mars, the global sensation of the original “Uptown Funk” includes a shout-out to “Jackson, Mississippi.” Social media director McClenty expressed excitement over the massive interest and praise generated by the video and award. JSU’s version of the video highlights the campus environment, faculty and staff and spotlights the Sonic Boom’s J5 drum majors.